Located in the thriving region of Seminyak, Hotel Vila Lumbung is a boutique style Balinese resort offering an exotic yet laid-back Bali holiday experience for singles, couples, families and friends. Not far from the shopping, dining and nightlife of Seminyak, Hotel Vila Lumbung is located 11 km from Ngurah Rai International Airport, approximately 20 minutes from the heart of Kuta and is close by to the beach. Hotel Vila Lumbung offers a selection of Superior Rooms, Deluxe Bungalows, Deluxe Family Bungalows and 3 Bedroom Deluxe Villas set amongst lush tropical gardens. All rooms feature individually controlled air conditioning, tea and coffee making facilities, mini bar and refrigerator. All villas are designed with traditional thatch-roofs and 3 Bedroom Deluxe Villas feature a fully equipped kitchen with large outdoor terrace. 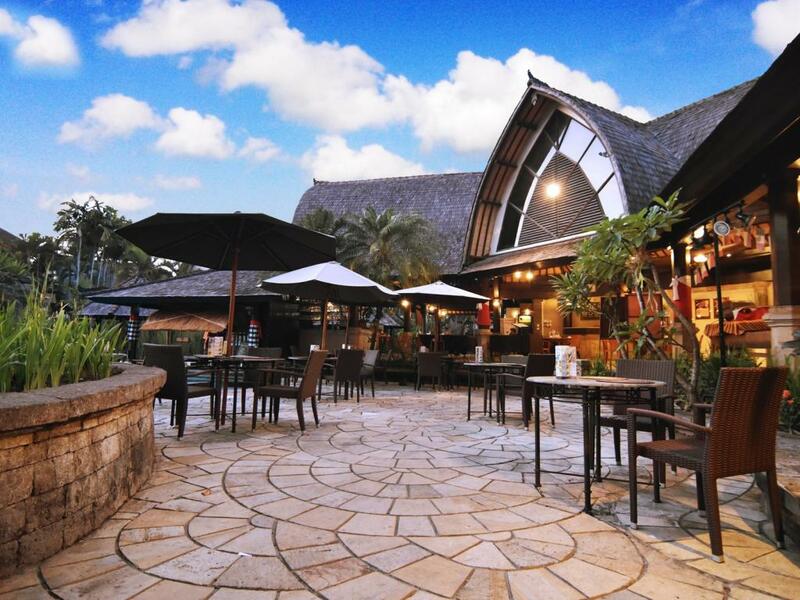 There are a fantastic range of onsite facilities available at Hotel Vila Lumbung including a large 2 level swimming pool with a waterfall, cave, island and bridges, as well as a day spa, pool bar, free WiFi, children's playground and fitness centre. Chess and backgammon are also available next to the swimming pool. Hotel Vila Lumbung is also home to The Lumbung Restaurant, an open air restaurant offering a selection of Western and international cuisine. Just 5 km northwest of Legian and Kuta, Hotel Vila Lumbung is a relaxing escape from the bustle of some of the busier areas of Bali yet is still conveniently located close to the tourist hubs and attractions. 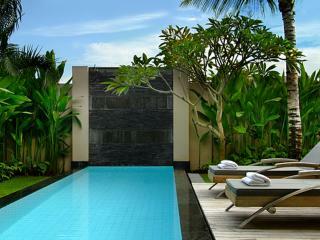 Enjoy peace and tranquillity as well as comfort and convenience on your next Bali holiday. Rooms at Hotel Villa Lumbung are surrounded by lush tropical gardens and feature cosy and comfortable elevated lounging areas and terraces. 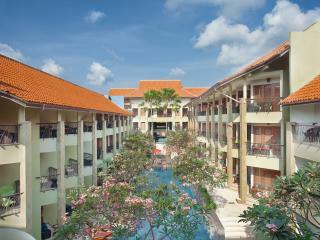 Superior Room: Located in a 3 storey building overlooking the lush tropical gardens and swimming pool. Room size is 46m². Bedding is 1 Double Bed OR 2 Single Beds. Maximum room capacity is 2 Adults & Children. Deluxe Room: Located either downstairs with an outdoor terrace or upstairs with a balcony. Room size is 65m². Bedding is 1 Double Bed OR 2 Single Beds. Maximum room capacity is 3 Adults OR 2 Adults & 2 Children. 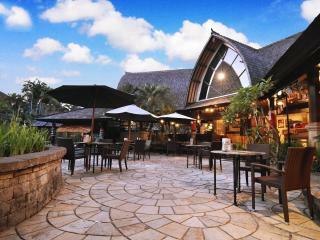 The Lumbung Restaurant: Serving a selection of Western and international cuisines with a romantic atmosphere by the pool and tropical gardens.Open for breakfast, lunch & dinner. Poolside Terrace & Bar: Featuring a swim-up bar, enjoy sweet cocktails or relax poolside, surrounded by tropical gardens. Demada Spa: Using the best of pure and natural ingredients, the extensive range of traditional Eastern and Western treatments are designed to relax your body, still your mind and balance your soul.